While it’s always important to keep traditions and celebrate the classics, it’s also fun to try something new. These Thanksgiving side dishes with a twist keep the familiar elements of our old favorites but reshape and remake them into something entirely different! Take the green bean casserole out of the baking dish and serve it in adorable crescent cups or easy-to-eat handheld pockets. 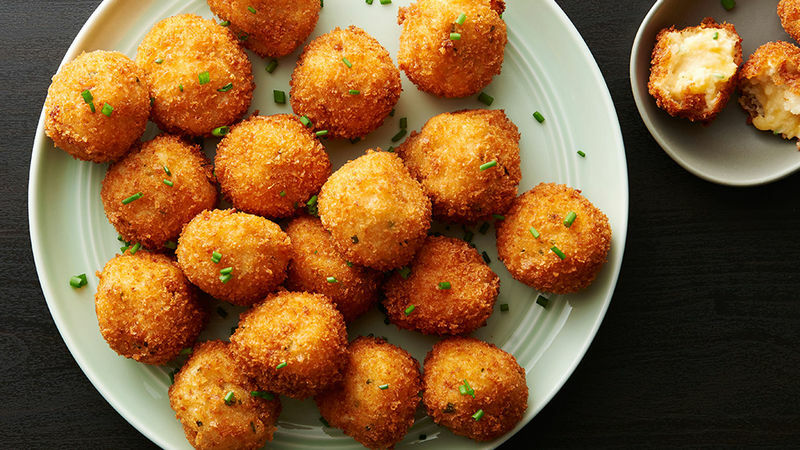 Shape mashed potatoes into deep fried bite-sized balls. Bake your stuffing inside muffin tins or wrap up in bacon. It’s all delicious! While the way these side dishes are served may be a bit unexpected, the familiar flavors of tradition will still be there and may even become a new holiday standard and your family’s most-requested dish.